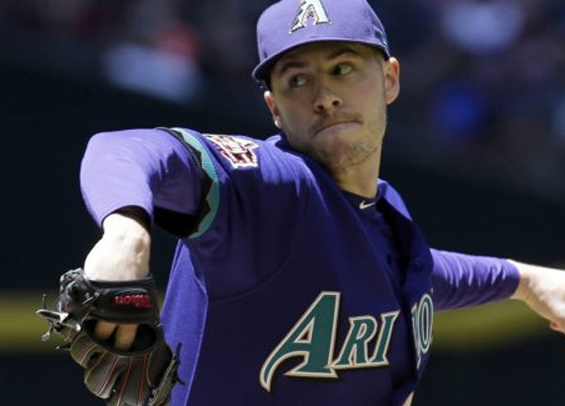 Multiple sources have confirmed that left-hander Patrick Corbin was in Philadelphia on Tuesday to meet with the Phillies. There are no specific details about his visit, aside from an image circulating on Twitter showing Corbin wearing a Phillies hat on the scoreboard at Citizens Bank Park. The 29-year-old is fresh off a career year where he pitched to a 3.15 ERA over 33 starts and finished fifth in Cy Young voting. He finished third in the National League in strikeouts (246) and seventh in WAR (4.6). Here's what part of the visit looked like. It was assumed that the Yankees were a front-runner to land the two-time All-Star, but things may have changed in the Bronx as the club traded for James Paxton last week. Most sources believe Corbin is seeking a deal north of $100 million and the Phillies just happen to be one of a few teams that can swing that type of cash.